Jain Irrigation, Inc. expands their water management technology product offering. The ETwater cloud-based platform and its line of weather-adaptive smart controllers accelerate Jain’s mission to leave this world better than you found it. Fresno, California, September 5th, 2018 - Jain Irrigation, Inc., ("Jain"), announced today it is acquiring ETwater, innovator of intelligent irrigation technology and in the vanguard for creation of the smart irrigation controller. ETwater is dedicated to helping solve the real world problems of water scarcity that made them a perfect acquisition for Jain. ETwater patented technology integrates data science, machine learning and predictive analytics about weather forecast and environmental variables to automatically, optimally adjust site-specific irrigation schedules. Connecting over the internet ETwater smart controllers get their schedules through secure, cellular data networks, and users are able to remotely monitor and manage controllers from any mobile or smart device. "We’re very proud of the positive impact on outdoor water conservation we’ve had in the U.S. market," said Pat McIntyre, CEO ETwater, "and raising awareness to the necessity of irrigating in harmony with nature. Our customers, from Fortune 100 national retailers to conscientious single-family homeowners, entrust us with driving the automation of their water efficiency. We’ve kept their landscapes healthy and beautiful, while eliminating the waste, damages and costs that result from overwatering. The Jain acquisition will expand ETwater efficiencies throughout the U.S. and now worldwide to become a gold standard in sustainable water management globally." "Jain is an early leader in the IoT for agriculture. ETwater will improve our position in agriculture and helps us make a bigger impact in reducing water waste in landscape irrigation," said Aric Olson, President of Jain Irrigation, Inc. "Jain is the technology leader for irrigation monitoring and control and we are thrilled to have ETwater join our family. After several successful irrigation technology acquisitions, the addition of ETwater, the pioneer of Smart Irrigation control, adds key technologies that can be deployed globally to our growing technology customer base. I’m also excited to have Richard Restuccia leading this team now. He is an industry thought leader for smart controllers and technology for water management. Before joining Jain Irrigation, Inc. in 2014 Richard was the first ever Director of Water Management at ValleyCrest Companies (now Brightview) the largest landscape contractor in the United States. He created real change in landscape irrigation and we expect it will accelerate even faster now." Terms of the deal were not disclosed, and the transaction will close shortly after certain customary conditions are met. ETwater is harnessing Mother Nature into technology products and services for creating the Smart Outdoors®. The cloud-based ETwater platform takes environmental data from multiple sources, including landscape specific information such as plant types, soil, slope conditions, and more to generate an automated, scientifically calculated watering schedule that will adjust as the weather changes. Schedules are transmitted though reliable, anywhere-connectivity over 3G and 4G wireless networks to our line of smart irrigation and sprinkler controllers, and with remote access to monitor and manage from any smart device, ETwater gives unparalleled security, control and water savings. ETwater is also compatible and can take over the control of an inefficient conventional irrigation controller, connecting it to the ETwater platform with all the advantages of our unique weather-based irrigation system; a retrofit capability available for over 50 different irrigation host controller models, including those from Irritrol®, Hunter® RainBird®, Toro®, and Weathermatic, among others. 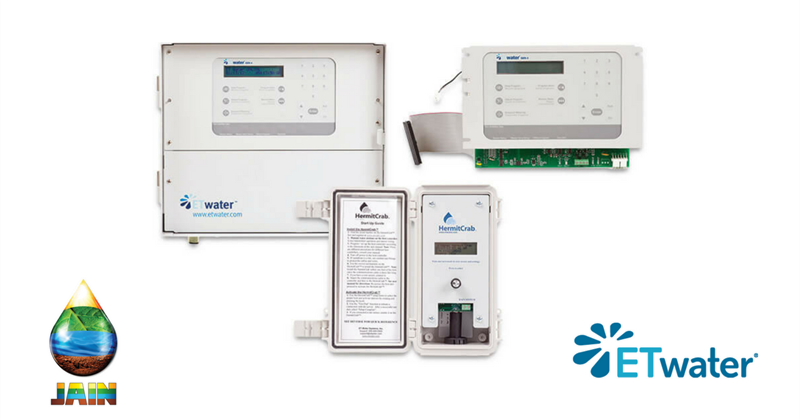 ETwater was the Irrigation Association’s first SWAT certified (Smart Water Application Protocol) weather-based irrigation controller, as well as being EPA WaterSense certified it can be found on every water agency approved commercial rebate product list for high-efficiency smart irrigation controllers. To learn more, contact ETwater by phone toll-free (888) 685-5505 x3, email info@etwater.com or via the Live Chat feature on the etwater.com website. Jain is a fully integrated global food/plant production company recognized by Harvard Business to be one of five global sustainability champions and the G-20 for lifting people out of poverty. Our irrigation manufacturing capabilities include everything from behind the pump to the flush valve at the end of the lateral and everything in between including drip irrigation. We lead the industry in manufacturing technology, owning both our extrusion and mold manufacturing equipment providers. 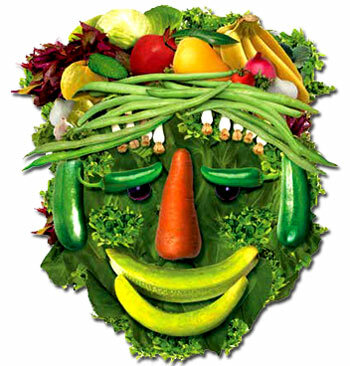 Jain leads plant science research globally across a variety of food crops and is staffed with some of the world’s leading research scientists. With the Gandhi Library, Jain now houses the leading collection of the world’s best plant science knowledge in a single facility. Our agronomic knowledge is integrated from our world-class tissue culture operations through our food processing businesses. We research, educate, advance, manufacture, finance, propagate plants, and purchase produce for processing all in an effort to fulfill the Jain mission, "leave this world better than you found it."